The call for the creation of URBACT Transfer Networks is open until 10 January 2018. The objective of these networks is the adaptation and transfer of URBACT labelled Good Practices to other municipalities that have similar challenges, but less experience. Some questions may arise to the city wishing to apply: What does the Good Practice city gain from sharing knowledge? What if the political and cultural background in my city is completely different? Which traps should be avoided when adopting a good practice in my own city? 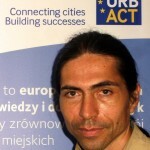 To find answers, not necessary to travel far: there is some experience within URBACT. TUTUR was an URBACT pilot transfer network focusing on the temporary use of vacant spaces, set up to “test” the transfer approach from one city to another. Launched in 2014, for 15 months, the network involved three partners: Rome (IT), Alba Iulia (RO) – the ‘Transfer cities’; and Bremen (DE) – which acted as the ‘Good Practice city’. 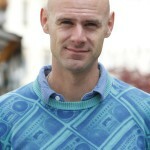 Oliver Hasemann, spatial planner, co-founder of the urban development company AAA Ltd, works for ZwischenZeitZentrale (ZZZ), which, loosely translated, means Interim Period Agency. Since 2012, Hasemann together with his architect colleague Daniel Schnier have run the ZZZ agency on behalf of the City of Bremen. The ZZZ is a public project which is run by the AAA as an external contractor. The AAA made temporary use projects by themselves over the last 10 years. They have been been selected by the city as they are closely connected to the user community but as well understand the needs and constraints of public administration. The aim of ZZZ is to ‘wake up’ sleeping, vacant buildings and areas, both public and private owned, by establishing temporary uses there and thus upgrading the real estate and its surrounding districts. The concept works on the principle of cheap space for temporary use. 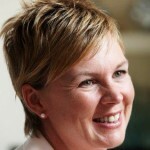 This creates ideal conditions for small enterprises, start-ups, initiatives and associations. For the ZZZ agency, the essential ingredients for successful temporary use are creative users with convincing ideas on the one hand, and open-minded owners of vacant buildings and wasteland on the other. In this process, ZZZ plays an intermediary role: they search for suitable property, consult property owners and develop and accompany temporary use projects. The ZZZ is as well proposing ideas for vacant spaces and coordinating some by themselves as well as helping users to realise their projects in a suitable property. In this way, they create win-win situations for all stakeholders. In 2014, when the City of Bremen decided to take part in TUTUR as the Good Practice city, ZZZ already had on board various relevant stakeholders, such as the representatives of the different departments of the local authority and the district’s inhabitants. And they had already implemented a variety of temporary use projects in a harbour area in Bremen with huge vacant factory sites and former shunting areas, including unique summer events as well as continuous cultural and social uses in different areas like former office buildings, hospitals or factory premises. Through their exchanges with the Transfer Cities they got some new insights into topics on how for example to link the use of vacant spaces with youth unemployment or the integration of migrants and refugees – topics which are now, five years later, on the very agenda of the city of Bremen and the ZZZ agency. The aim is to open temporary use projects much more for these groups in the city and to develop proper tools to address them and to offer affordable space. 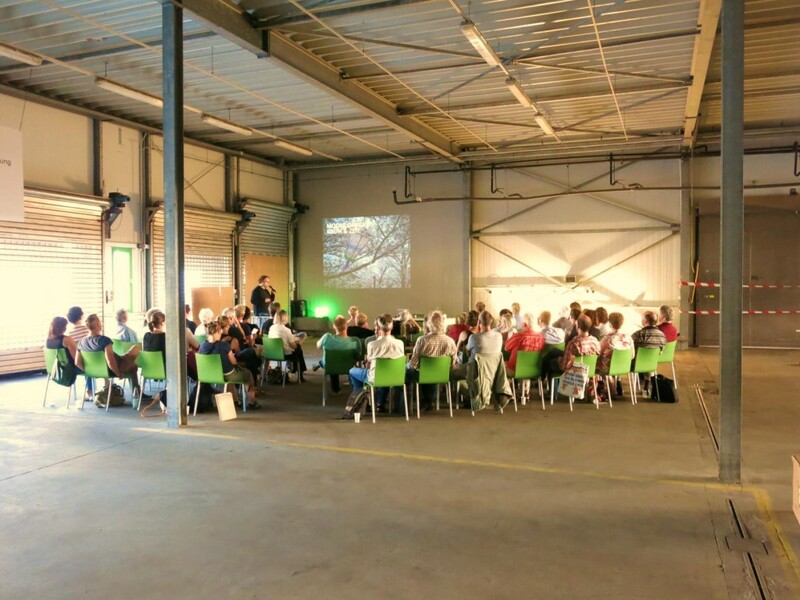 Within the last two years the ZZZ cooperated with several NGOs to find a proper way to do so and had seven workshops within the URBACT III REFILL project. The City of Rome had a big interest in the topic of temporary use. The Italian capital owns many properties including agricultural land, buildings and open spaces. In 2014, many of these were used partially or not at all, a situation which could have lasted a long time, while waiting for new adequate purposes to be identified and necessary financial resources for renovations put in place. Abandoned or misused spaces were a great loss for local communities, partly because vacancy has a negative effect on surrounding areas. Experimenting with temporary uses within the framework of TUTUR allowed the city to open up its properties to new uses while involving inhabitants. “Although spontaneous civic uses took place in public-owned spaces in Rome, we did not have any regulatory frameworks for such actions. Therefore the policies in place in Bremen, and the way they allow for exceptions to take place when needed, were a great learning to us. In fact, Rome is more rigidly regulated than Bremen in terms of public procurement, security and zoning. Within a context of temporary use, in Bremen it was possible to assign public properties directly to local stakeholders without public competition, even in cases in which the buildings where not already fully complying to all fire and security regulations. 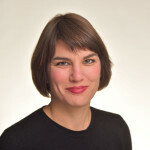 This in Rome would have not been possible, as according to the existing policy temporary uses would have had to comply to regulations, just as long term leases, which greatly effects the economic commitment and long-term responsibility of users.”, says Daniela Patti, who acted as the TUTUR network coordinator on behalf of Rome. 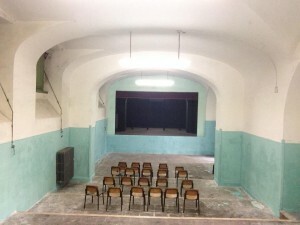 In the frame of TUTUR, the City of Rome, co-created activities with local inhabitants in the neighbourhood Viale Adriatico Market, carried out a temporary use of the former Presidenti Viaduct as a bicycle path and community hub and relaunched the use of an abandoned Don Bosco school theatre. They inaugurated it as a public space with bicycle workshop, playground and citizen laboratory. This interim use was the preparation for the transformation in a bicycle lane of the abandoned viaduct. Below, Oliver Hasemann, from the German Hanseatic City of Bremen, and Daniela Patti, from Rome, share their experiences of TUTUR – with some advice that will help cities make the most of URBACT Transfer Networks in the future. “When we joined TUTUR as Good Practice city, we were very curious about how temporary use works in other European cities”, says Hasemann. Besides sharing with other cities their own good experiences, Haseman points out that it is also very important for the URBACT Good Practice City to find another concrete activity within the transfer network besides their “coaching” role to the Transfer Cities. 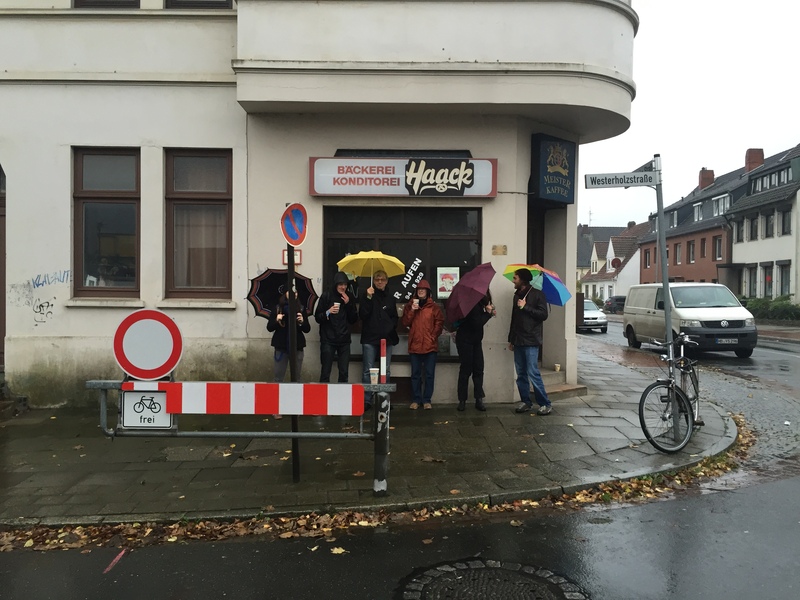 In the case of Bremen, this meant that TUTUR gave them the possibility to experiment with new forms of temporary use, such as performative-guided city district tours. Professional Artists took part in these tours and made these tours a more liveable happening and sharpened the view on the neighbourhood. Additionally, they had the possibility to concentrate more on projects in a selected neighbourhood. In the Bremen City district of Hemelingen, a historical industrial district of Bremen, which has undergone transformation in the working processes and lacks significant social problems (unemployment, youth poverty) several vacancies of different characteristic (from empty shop to brownfield to vacant factory areas) had been awakened with a local network of public bodies and private stake holders and NGOs. Being awarded as an URBACT Good Practice city may be a strong argument for cities to convince their administration and local representatives of the benefit of the URBACT transfer experience. “Although the contexts of Rome and Bremen are extremely different, we learned much about temporary use and civic-public collaboration”, says Daniela Patti. In the eyes of Rome, Bremen had a very innovative system for addressing temporary use: the collaboration of the City with other regional and national stakeholders allowed the allocation of funding and identification of priority intervention areas where the ZZZ Agency could match users with vacant spaces. Daniela adds that the good practice from Bremen was a valuable inspiration for the work in Rome – but the policy framework to make it happen locally in the context in Rome had to be completely different. Her conviction: “It’s impossible to have a copy and paste from one city to another, there needs to be policy and cultural translation. 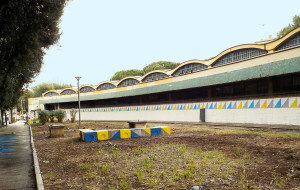 In Rome, we realised that the elaboration of yet another policy to regulate vacant public properties, this time in terms of temporary use, would have been counter-productive because we already had five policies affecting in one way or another the assignment of public green spaces or buildings. Instead, we used the opportunity to better inform stakeholders of the existing legal framework through a guidebook, online material and seminars. At the same time we also contributed to the development of a new regulation on the Urban Commons for the whole administration, which was not implemented yet due to political changes in the City Council”. “It is important to understand the Good Practice also in its ‘backstage mechanisms’ because those are often the essential ones for the transfer. The difficulty in transplanting a practice from one context to another stands in the awareness of the site-specific conditions that effect the functioning in the local context. 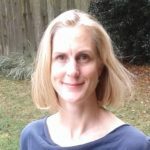 Aside of general cultural differences, often there may be policies or procedures in place that indirectly affect the success of a transfer”, says Daniela Patti. “In the Bremen case, the governance model is essential to its well-functioning.” In fact, the temporary use practice in Bremen benefits from the close collaboration and financial support of various departments and governmental levels. Furthermore, the city’s flexibility in the application of policies in buildings used on a temporary basis are not common to all cities in Europe, for example in terms of security or health. Another important aspect is the intermediate role ZZZ agency plays between the public administration and users, which ensures that the creative local community has access to these spaces. In many other cities around Europe this would have to happen through public procurement procedures and not direct assignment as in the Bremen case. Regarding the size of city partners, URBACT imposes no restrictions. However, for a satisfying solution benefiting all involved parties, it is advantageous for partners to share similar situations. “With our third TUTUR partner Alba Iulia there was a good exchange regarding questions of organisation and legal framework. However, the challenges in a small town are totally different than in a capital like Rome or a city state as Bremen. Cities should take the aspect of comparability into account when searching for network partners”, advices Oliver Hasemann based on his experience. Furthermore, colleagues from other departments have to be involved: “They are key to the strategy, they will help you figure out challenges and potentials for implementing the good practice in your local context”, she says. Hasemann and Patti both agree that their cities benefitted from the transfer experience. 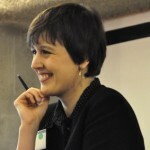 “TUTUR allowed us to start up a pilot programme on temporary use in one of the Districts of Rome, reactivating some spaces with the local inhabitants, and to develop policy recommendations to the city’s regulation on the Commons, although this was unfortunately not approved yet due to political changes”, says Patti. In turn, Bremen gained the opportunity to give further concrete form to their temporary use approach by implementing different several new projects in the city district of Hemelingen, like the WURST CASE in an old meat factory, or the bay-WATCH on a brownfield at the riverside of Hemelingen. Furthermore, the funding for the ZZZ agency was prolonged until 2020. Some of the ideas they gained during TUTUR now form the main emphasis of their work today, focusing on connections between temporary use and the integration of migrants.